Sorrento is advancing a pipeline of small molecules, antibodies and antibody drug conjugates (ADCs) for the treatment of cancer and its associated pain. Sorrento’s lead programs include a next-generation paclitaxel drug, Cynviloq, in final stages of clinical development, as well as a non-opiate pain therapeutic for terminal cancer patients in mid-stage clinical development, resiniferatoxin (RTX). Sorrento is also fueling its drug pipeline with a diverse library of fully functional monoclonal antibodies, complemented by a comprehensive ADC platform comprised of wholly-owned conjugation chemistry, linkers and toxic payloads. This preclinical pipeline is driven by Sorrento’s core G-MAB® technology, one of the largest and most diverse fully human antibody libraries in the industry and proprietary ADC technology. 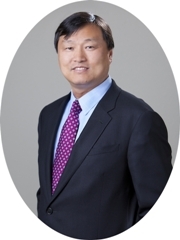 Henry Ji, Ph.D. co-founded and has served as a director of Sorrento since January 2006, and as its President and Chief Executive Officer since September 2012. Dr. Ji served as Sorrento’s Chief Scientific Officer from November 2008 to September 2012, and as its Interim Chief Executive Officer from April 2011 to September 2012. From 2001 to 2002, Dr. Ji served as a VP of CombiMatrix, and was responsible for strategic technology alliances. From 1999 to 2001, Dr. Ji served as Director of Business Development, and in 2001 as VP of Stratagene (later acquired by Agilent Technologies), a biotechnology company. In 1997, Dr. Ji co-founded Stratagene Genomics, a wholly-owned subsidiary of Stratagene Corporation, and served as its President and Chief Executive Officer from its founding until 1999. Dr. Ji obtained his Ph.D. in Animal Physiology from the University of Minnesota and a B.S. in Biochemistry from Fudan University. CEOCFO: Mr. Ji, what is the basic concept at Sorrento Therapeutics? Mr. Ji: Sorrento is a fully integrated biopharmaceutical company with a late-stage oncology product, Cynviloq™. Cynviloq is currently in late stage registrational trial against a potentially multi-billion dollar marketed by Celgene known as albumin-bound paclitaxel. Sorrento may be in a position to submit a New Drug Application or NDA for Cynviloq sometime next year for the treatment of patients with metastatic breast cancer and metastatic lung cancer. If this happens, Cynviloq can potentially get approval in 2016 with US launch soon thereafter. We also have a second drug in Phase 1/2 trial for the treatment of chronic, severe, intractable pain in patients with end-stage disease such as terminal cancer. We believe there is a multi-billion dollar market opportunity in the United States that can be addressed by our ‘first in class’ non-opiate pain drug. In addition, we have two technology platforms on which Sorrento has built a deep pipeline of products. The first platform is called the G-MAB® library. From this library, we are able to develop fully human therapeutic antibodies against conditions such as cancer, autoimmune diseases and infectious diseases. The second platform is our antibody drug conjugate (ADC) technology, which allow Sorrento to conjugate cancer cell killing toxins unto our antibodies, to create highly targeted and potent therapies against cancer. With these two technology platform, we believe Sorrento will be in the cutting edge of cancer therapy. CEOCFO: Why is your late stage drug different from others? Mr. Ji: Cynviloq is already on the market in South Korea, India and some other Asian countries for treating breast cancer, lung cancer and ovarian cancer. Over 1,200 cancer patients have been treated with Cynviloq in clinical trials worldwide. Cynviloq had been clinically tested in patients suffering from breast, lung, ovarian, bladder or pancreatic cancer. In order to get FDA approval, the FDA concurred that Sorrento only has to do a bioequivalency trial comparing Cynviloq to albumin-bound paclitaxel, a drug approved by the FDA for breast, lung and pancreatic cancer, to demonstrate that both drugs achieve the same blood concentration levels. Through this abbreviated pathway called the 505(b)(2), Sorrento does not need to repeat the costly and lengthy clinical trials to show that Cynviloq safe and effective since Sorrento will be permitted to reference the clinical data already generated with albumin-bound paclitaxel. CEOCFO: How does Cynviloq work and what does the drug do in the body? Mr. Ji: Paclitaxel, a highly potent cytotoxic agent first marketed by BMS as Taxol®, was the first chemotherapy that reached sales of over $ 1 billion in the US. The problem with Taxol is that it uses an industrial solvent called Cremophor-EL to solubilize the highly water insoluble paclitaxel so it can be given intravenously to patients. Cremophor is associated with toxicities such as severe hypersensitivity reactions, bone marrow suppression and irreversible neurotoxicity. These toxicities limited the dose of paclitaxel that can be given safely to cancer patients with Taxol. Abraxis Oncology, now a wholly owned subsidiary of Celgene Corporation, came out with a better formulation called albumin-bound paclitaxel. Instead of using Cremophor, paclitaxel is encapsulated in human serum albumin to make it soluble. Because of this reformulation, clinicians are able to give a much higher dose of paclitaxel to cancer patients. This has translated into better tumor control and longer time before tumor grows again in patients treated for breast and lung cancer. In pancreatic cancer, the combination of albumin-bound paclitaxel to another chemotherapy drug called gemcitabine resulted in patients living longer. Celgene estimated that sales of albumin-bound paclitaxel could reach $ 1.5- 2.0 billion by 2017. Unlike Abraxane, Sorrento uses a proprietary chemical polymer instead of human serum albumin to encapsulate paclitaxel. Both albumin-bound paclitaxel and Cynviloq nanoparticles are extremely unstable in human plasma. Once the drugs are administered intravenously, both nanoparticles disintegrate rapidly to release active paclitaxel into the blood stream. The free paclitaxel released bind to albumin in the circulating blood to get transported into the tumor. Sorrento believes Cynviloq may possess bioequivalent-like paclitaxel pharmacokinetic (PK) properties comparable to albumin-bound paclitaxel based on comparison of historical PK data from separate studies and PK simulation exercise. Since Cynviloq and albumin-bound paclitaxel appear to have similar biophysical characteristics and share a common mechanism of action, the FDA has given the go ahead to Sorrento to do a PK study to demonstrate bio-equivalence as a basis for approval for Cynviloq using albumin-bound paclitaxel as one of the reference drug. CEOCFO: What about your novel non-opiate pain drug? Mr Ji: The second drug we have is called RTX or resiniferatoxin. RTX is potentially a breakthrough therapy for intractable pain, pain that are even refractory to high dose opiates given round the clock. These types or intractable pain are currently managed by surgically implanting a pump into the patient’s spinal column so that the patient can pump morphine into the spinal fluid 24 hours a day as needed. These pumps cost over $35,000. If one adds the cost for the surgical procedure, associated hospitalization and daily morphine use, total treatment cost could easily reach $ 60,000-$ 100,000. In addition, patients’ quality of life are heavily compromised as they have to live with severe side effects that are associated with daily opiate use such as constipation, constant sedation, ‘opiate fog’ and potential for overdose. RTX is a non-opiate drug that can chemically ablate the neurons found in your spinal cord that are hyper-activated during chronic inflammatory conditions such as cancer. The neurons that RTX ablates or kills are not involve in motor neuron functions, normal sensation and cognitive function. Therefore, we believe patients treated with RTX can find permanent pain relief while maintaining their motor skills and normal sensation. Ten patients with terminal cancer had been treated in a Phase 1/2 clinical trial sponsored by the National Institute of Health (NIH) that demonstrated clinically meaningful improvement in pain. Although this drug still has to undergo extensive clinical testing before FDA approval, we are very encouraged by the early experiments. We are excited with RTX because it can have a significant impact on the way pain are managed today, as an alternative to opiates. We believe that in 2-3 years we can get the drug through the required clinical trials needed to submit the NDA and potential FDA approval. CEOCFO: Was it a deliberate strategy to work in two different areas or was it opportunistic? Mr. Ji: Sorrento got these two clinical stage products through strategic acquisitions. We acquired three companies last year. The first acquisition came with the Cynviloq opportunity, currently in late stage clinical development. RTX came through a transaction that we did at the end of last year when we acquired Sherrington Pharmaceutical. Sorrento also acquired a San Diego company called Concortis, a leader in the antibody drug conjugation field in December. CEOCFO: How has Sorrento Therapeutics changed under your leadership? Mr. Ji: Sorrento has changed under my leadership since its foundation in 2009, from a pure research stage company to a fully integrated late-stage oncology company. We started at the end of year in 2009 with a concept to build the largest human antibody library. Today, the GMAB library is the discovery engine behind our pipeline of therapeutic antibodies. Sorrento spent 2-3 years perfecting the G-MAB technology and consequently, had discovered many potential product leads, including immuno-modulatory antibodies against PD-1 and PD-L1 targets which have generated significant excitement in the oncology community lately due to clinical data showing very promising activities in melanoma, lung cancer, renal cell cancer and bladder cancer. Companies involved in this space include BMS, Merck and Roche with their candidates in late stage clinical development. The FDA has given ‘breakthrough status’ to some of these antibodies. The immune-modulatory antibodies are projected to be a $35 billion emerging market opportunity according to CITI bank analysts. With the three acquisition transactions in 2013, we have transformed the company from a pure research company to a fully integrated bio-pharmaceutical company with people that know how to discover, develop and commercialize drugs. CEOCFO: What have you learned from your previous experiences that has been most helpful at Sorrento? Mr. Ji: I learned from my previous experience that to be a good leader in the biotech, one needs to know the science. I have a deep science background on the discovery side. I have also spent many years in business development and was involved in several licensing transactions. These experiences provided me with a refreshing commercial perspective in conducting research and development. As CEO, I am also actively involved in fundraising activities, which gave me valuable perspectives on managing resources and prioritizing the product development to focus on near term commercial opportunities. We have positioned the company to focus on bringing to market Cynviloq and RTX as soon as possible. In addition, we are looking at strategic partnerships and alliances with multinational pharmaceutical companies to develop our G-MAB and ADC product opportunities through R&D collaborations and product licensing. CEOCFO: Sorrento was recently awarded a grant from NIH. What are the funds to be utilized? Mr. Ji: The funds that we were awarded from the National Institute of Health (NIH), was for the development of new anti- bacterial therapeutic antibodies against MRSA and other pathogens. Our antibody against bacterial quorum-sensing was licensed from The Scripps Research Institute. CEOCFO: There is a great deal going on at Sorrento. How do you stay focused and giving everything the attention that it needs? Mr. Ji: Our resources are primarily focused on the near commercialization opportunities, Cynviloq and resiniferatoxin. Therefore, we are giving sufficient resources to these two near-term product opportunities. However, we also have a long-term vision of acquiring sufficient funds on G-MAB and ADC product lead generation programs, so that we can generate exciting breakthrough type of product opportunities. Our strategy here is to create strategic alliances with biopharmaceutical companies to help in our discovery. For example, recently we announced a collaboration with Morphotek, a subsidiary of Eisai to them generate ADC product leads with their antibody and using our proprietary ADC technology. Morphotek has asked us to help them to formulate new ADCs. In this collaboration, Sorrento will not only get fee for services, but milestone payments, up to $50 million, and royalties from product sales. CEOCFO: With so many companies in healthcare to look at, why should the business and investment community pay attention to Sorrento Therapeutics? Mr. Ji: Right now, we believe Sorrento is quite undervalued. Our late-stage product Cynviloq will be competing against a multi-billion product in making, albumin-bound paclitaxel known commercially as Abraxane. Cynviloq can potentially be available in the market as early as 2016. RTX, our non-opiate, first in class pain drug has the potential to address another multi-billion market opportunity with the hundreds of thousands of patients with end stage disease who suffer daily from intractable chronic pain worldwide. Sorrento expects to complete the clinical development of RTX in 2-3 years, which means we can potentially launch RTX as a follow on drug after Cynviloq launch by 2018/19. Not many biotech companies have the breadth and depth of our pipeline with clinical stage assets like Cynviloq and RTX, and; our library of fully human therapeutic antibodies and proprietary antibody-drug conjugation platform. Resiniferatoxin also had been clinically tested and found to be highly effective in treating associated cancer pain in canine osteosarcoma. The data we have with RTX is sufficient under the Center for Veterinary Medicine MUMS (minor use, minor species) program for accelerated conditional approval. Sorrento recently filed the S1 for Ark Animal Health with the intention of filing for Ark IPO as a partially owned subsidiary of Sorrento. RTX will also be developed in other vet indications such as osteoarthritis in dogs, cat spray, ocular abrasion and laminitis in horses etc. In addition, our anti-Staph vaccine and antibodies can have promising applications in dog and cow mastitis. Therefore, we are finding very opportunistic and creative way to unlock the commercial promise of our rich and deep pipeline in many ways.